Prime Minister Benjamin Netanyahu is set to meet US Vice President Mike Pence and US Secretary of State Mike Pompeo at a Middle East conference in Warsaw later this week. “The first issue on the agenda is Iran — how to continue preventing it from entrenching in Syria, how to thwart its aggression in the region and, above all, how to prevent Iran from attaining nuclear weapons,” Netanyahu said Sunday in his weekly cabinet meeting. Netanyahu is set to take off for the Polish capital on Tuesday to address the so-called “Ministerial to Promote a Future of Peace and Security in the Middle East,” held jointly by Poland and the US on February 13-14. The prime minister is set to meet with other world leaders as well, he said Sunday, but would not provide more details about his plans. Efforts to thwart Iran’s aggression in the region, including its efforts to entrench itself militarily, its recent attempts to upgrade its ballistic missile arsenal and its nuclear ambitions are expected to take center stage at the summit, even though organizers said the conference’s objective is not to bash Iran. The Israeli-Palestinian conflict may be another topic discussed in Warsaw, although senior Palestinian officials said last week they would boycott the event. “Regarding statements that we have been invited, we can say that only today there was some contact from the Polish side,” Palestine Liberation Organization secretary-general Saeb Erekat wrote on Twitter Friday. “Our position remains clear: We are not going to attend this conference and reiterate that we have not mandated anyone to talk on behalf of #Palestine,” he added. Erekat’s statement came after a White House official told reporters the Palestinians had been invited to the conference. Is Trump’s Mideast “Deal of the Century” Peace Plan Biblical? 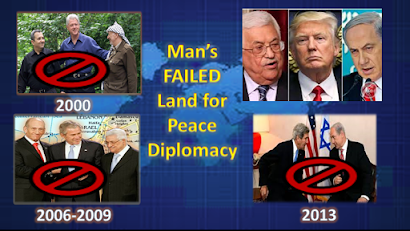 US Presidents Bill Clinton, George W. Bush and Barack Obama all failed in their successive plans to trade land for peace. President Trump is about to introduce his peace plan called, “The Deal of the Century.” If his plan ends the Arab-Israeli conflict then this grandiose title will be justified. However, if it fails it will just be another flop of the century. (Click image to read article). ...Can we know the timeline of events? Meanwhile, our President, called by some a modern-day Cyrus the Great, has chosen sides and seems to be Israel's best friend. Is the "Deal of the Century" fast approaching? Or will the sudden disappearance of millions of Christians send Planet Earth into an unprecedented time of worldwide chaos and panic? Gary and Bill delve into the oft-confusing world of Bible prophecy and help us see the big picture. ...Bill Salus and LA Marzulli expose the harlot of Mystery Babylon as Roman Catholicism. Then they reveal her signatory role in the False Covenant with Israel in Daniel 9:27 and Isaiah 28:15-18. Many prophecy experts teach that this covenant, which is confirmed by the Antichrist, is between Israel and the Arabs, but this shocking new theory refutes this teaching. Did you know that encoded in the tribal names of the 144,000 is a mystery that contains their ministerial mission statement? Did you know that these Post-Rapture Jewish evangelists lead multitudes of the lost and left behind to the Lord? This short 10-minute Prophecy Watchers TV update decodes the mystery of the 144,000 witnesses of Revelation 7 and explains their ministry of reconciliation to the Tribulation Saints. What is the Calling of a 21st Century Watchman? Q: What is a mission and calling of a twenty-first century Watchman? Q: Tell us about the book - What Now Prophecies should Christians be watching? Q: We know you don’t set dates, and neither do we, but do you see signs that would indicate this may in fact be the terminal generation? Q: It could fill volumes, so this is not an easy question, but in a few minutes, can you identify the basics every Watchman should know about the last days? Q: What is your understanding of Mystery Babylon and why the comparison to Babylon? Q: Can you explain for our listeners who may be new to the subject – What is Bible Prophecy and how is it different from predictions or foretelling or even fortune-telling? Q: What about post-Rapture? Does the Church have any obligation to leave the Gospel behind for those who need to find Christ during the Tribulation? Q: What would you like Watchmen to hear to encourage them to continue serving in these difficult times? ...This radio show presents Table of Content excerpts from the new Bill Salus novel entitled, THE APOCALYPSE REVELATIONS. Visit www.prophecydepot.com to buy the book for $16.95 and get a FREE DVD. Does the Bible Predict Iranians Will Soon Flee to America? 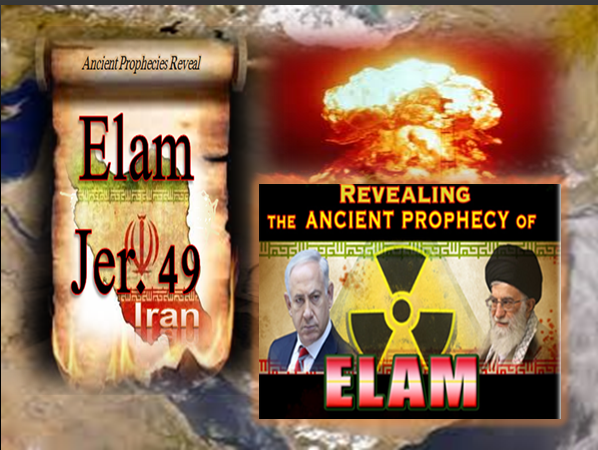 About 2600 years ago, in a prediction that has been vastly overlooked by most of today’s top Bible prophecy experts, the Hebrew prophet Jeremiah predicted Iran would undergo a massive, possibly nuclear, disaster! Jeremiah declared that this epic event would be caused by the Lord, occur in the latter days and precipitate the worldwide dispersion of many Iranian exiles. He specifically stated that there would be “no nations,” which would include America, that these exiles “will not go.” There are strong reasons to conclude that many of these refugees will make their way to America and possibly soon. Click image to read article. Iran's nuclear threat is the elephant in the room in the Middle East! Iran is Israel's #1 existential threat! 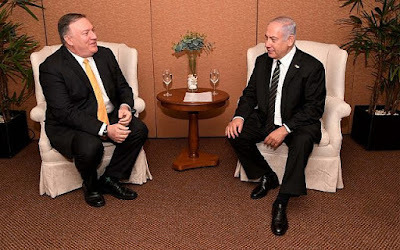 Prime Minister Netanyahu recently stated that Israel is prepared to attack Iran now, even if they have to go it alone. Is it time for the ancient prophecy of Elam to find fulfillment? 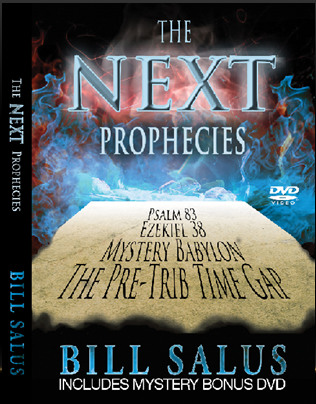 Bill Salus has written a book and produced a DVD about this prophecy. 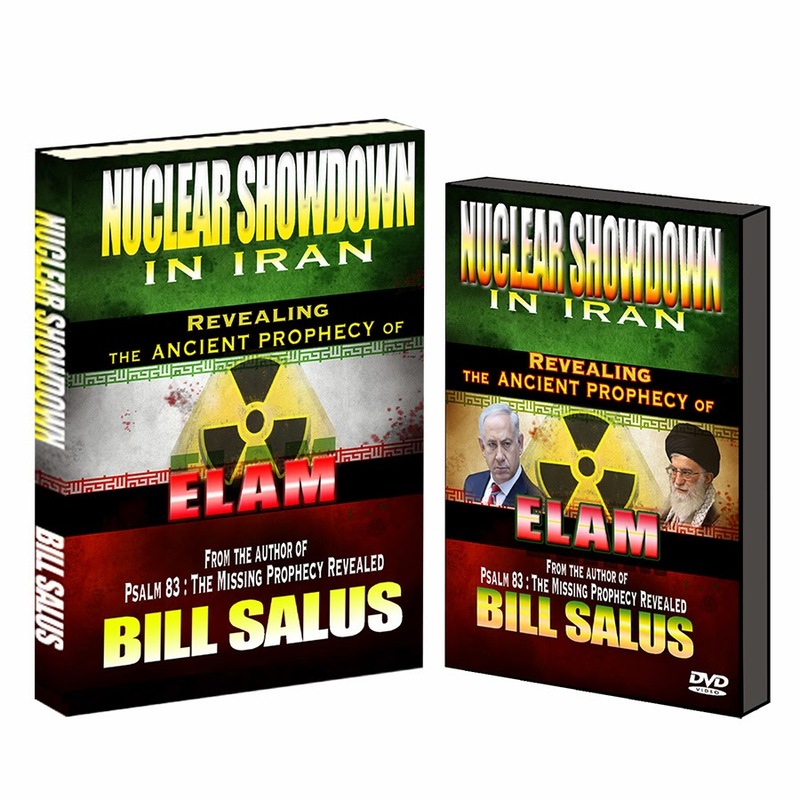 SPECIAL BOOK & DVD BUNDLE OFFER Nuclear Showdown in Iran, Revealing the Ancient Prophecy of Elam book and DVD for only $12.95. Save $18.00...Click image to buy this bundle package. Click image to read the article. 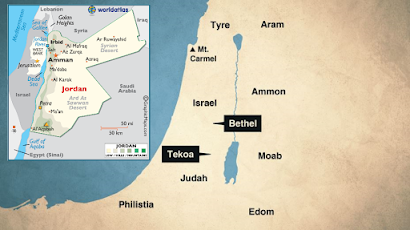 Jordan is the subject of several UNFULFILLED biblical predictions. These prophecies concerning this Arab state are found in Jeremiah 49, Zephaniah 2, Isaiah 11, Ezekiel 25, Obadiah 1, Psalm 83, Amos 1-2 and elsewhere. An important question is, “are these assorted Jordanian prophecies all part of the greater Psalm 83 Arab war prophecy, or are they independent from it?” Psalm 83:6-8 clearly identifies Jordan as a member of the Arab coalition that seeks to destroy Israel. This article will primarily explore Jeremiah 49:1-6 and secondarily explain the other Jordan related prophecies referenced above. THE ARTICLE CONCLUDES WITH A CHALLENGE TO THE READERS BELOW: Today, there are some Bible prophecy teachers that suggest the current treaty between Israel and Jordan means that Psalm 83 has either been already fulfilled or can’t happen. Unless they can prove that these war prophecies included in this article have been fulfilled independently of Psalm 83, then they should no longer use this fragile treaty as a reason to dismiss the potential coming war prophecy of Psalm 83. This Prophecy Watchers TV show provides the literal interpretation of the prophecies in Ezekiel 38 and 39. Many prophecy teachers believe that Ezekiel 38 could happen now, but Bill Salus points out that the literal interpretation of the prophecies requires a greater and safer Israel. Ezekiel 38 won't happen until the greater and safer Israel becomes a reality. Find out how and when Israel meets the actual descriptions of Ezekiel 38. Mankind has a double religious jeopardy after the Rapture. First comes the Harlot and then the Antichrist. On this Prophecy Watchers TV show Gary Stearman and Bill Salus take a close look at Revelation 17 and 18. 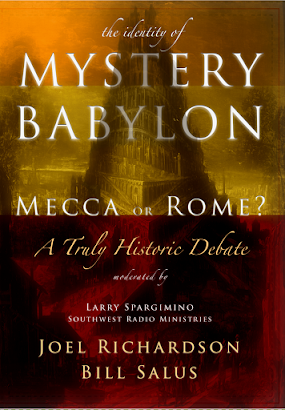 The location of Mystery Babylon is a hot topic of debate in prophecy circles. Where will it be located? New York City, Rome, Jerusalem, Mecca and even the ancient site of Babylon in Iraq are popular choices. What about the mystery woman who rides the beast. Who is she and where does she come from? We are excited to introduce the latest Bill Salus teachings to you. Three timely and powerful prophetic video messages have been produced into a 2-disc DVD called, The NEXT Prophecies. This DVD is the teaching companion to The NEXT Prophecies book and it includes many PowerPoint slides and videos. Some people are saying, “These are the best presentations Bill has ever made…” Click the image to buy the DVD. CLICK THE IMAGE TO ORDER -The NEXT PROPHECIES is book two of a trilogy that attempts to chronologically order the prophetic events of the end times. The NEXT PROPHECIES is the sequel to The NOW PROPHECIES book. ...Bill breaks from long-held prophetic traditions with some new, somewhat controversial ideas on the the Seals of Revelation and the Four Horseman of the Apocalypse, laying out a biblical timeline that should give all of us pause to think. Gary and Bill highlight what Bill calls, The Next Prophecies. What happens next? ... Bill Salus explains the future of the Catholic Church in Bible prophecy. ON SALE FOR ONLY $12.95. Click image to buy now for a limited time. Is Ezekiel 38 a NOW or NEXT Prophecy? (Is Israel "dwelling without walls")? 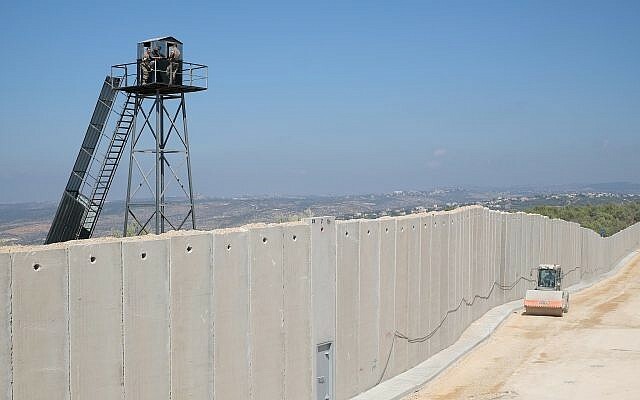 "As 30-foot-tall border wall goes up, IDF says Hezbollah, Lebanese army colluding" – Times of Israel (9/6/18) Some of today’s top Bible prophecy teachers believe that the Ezekiel 38 prophecy could happen at the present time, but is it a NOW or a NEXT prophecy? The NEXT Prophecies have at least one or more significant preconditions prohibiting their final fulfillment. The Ezekiel 38 prophecy could rightfully be classified as a NEXT prophecy for a few of the reasons that are identified within this article. Click image to read article. Dr. David Reagan and Nathan Jones interview Bill Salus on Christ in Prophecy TV. The topic that is discussed is the true identity of the GREAT CITY called Mystery, Babylon. Is it New York City, Jerusalem, Mecca, Rebuilt Babylon, Iraq, or is it Rome, the city that sits on seven-hills? Watch this TV show to hear the arguments that strongly suggest that the Harlot world religion is the Catholic Church and that the GREAT CITY that it's headquartered in is ROME! 1. The Prophetic Gap: The Antichrist, The Harlot and the Temple Mystery 2. 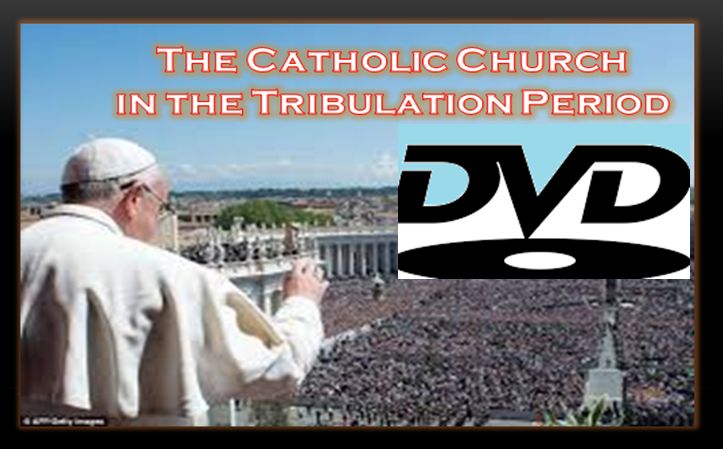 The Catholic Church in the Tribulation Are you familiar with the Prophetic Gap of time between the Rapture and the Tribulation Period? Did you know that the letter to the Church of Thyatira seems to predict that the Catholic Church will go into the Tribulation Period? Enjoy over two hours of cutting edge prophetic teaching by one of today’s top prophecy experts. This DVD comes with dozens of PowerPoint slide images that takes the viewer into the gripping future. For a limited time, this new DVD is available for only $14.95 plus shipping & handling. ... 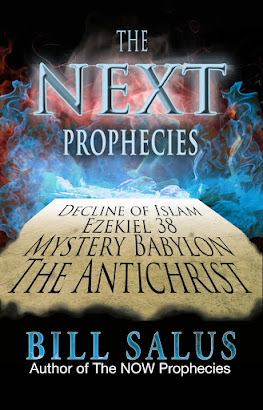 Many prophecy buffs believe that Ezekiel 38 is the prophecy that could happen Now, but Bill Salus explains why that is not likely. He says Psalm 83 is a Now Prophecy, but certain preconditions exist today that suggest Ezekiel 38 is a Next Prophecy. God is still in the miracle business. 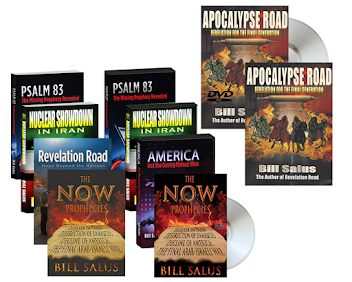 In this Prophecy Update radio show, Bill Salus shares how the Lord has miraculously guided him through Prophecy Depot Ministries one book at a time. Read the related article at this link. Prophecy Depot Ministries. Simple theme. Powered by Blogger.